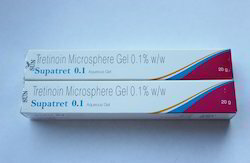 Dose Adult As 20 mg/g (24 mg/mL) gel 2.5 mL 4 times daily. 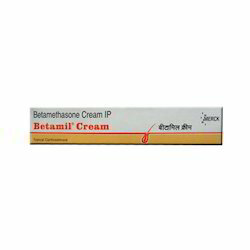 Demega formulations India is a major exporter of Betnovate -GM cream (Betamethasone valerate gentamycin and micanozole nitrate )is used for bacterial and fungal infection infected skin conditions to treat bacterial infection in the moist, weeping areas of skin associated with swelling and oozing such as eczema, psoriasis and dermatitis. 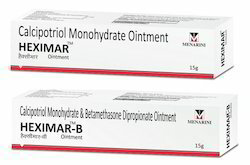 Demega formulations India is prime exporter of HEXIMAR AND HEXIMAR - B (calcipotriol & betamethasone) a derivative of vitamin D3 with corticosteroid used for Topical/Cutaneous Mild to moderate plaque psoriasis once or twice daily also for treatment of Alopecia Areata. Tretinoin is a form of vitamin A and belongs to a group of medications called as retinoids. It helps the skin to renew itself (causing peeling) and prevents skin inflammation. Demega formulations India is a prime exporter for Boxtlak -BL( synthetic botulinum peptide(BoNT-L) is topical anti-aging cream, relaxses facial expression, gives a natural,lifted appearance reducing wrinkles, lines and facial sagging. Boxtlak -BL( synthetic botulinum peptide(BoNT-L)cream increases skin cell turnover effectively without redness, irritation and flaking.